Standard Class A can drive. No special DMV endorsements needed. 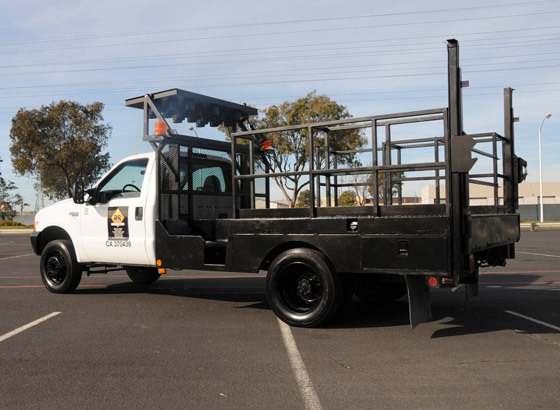 Rented traffic control trucks and cone trucks are available with or without supplies. Truck rentals require insurance coverage; contact us with any questions regarding insurance coverage or requirements.